Korea is located at the end of the East Asian continent. The capital of the Korea is Seoul. Korea is classified as 6 metropolitan cities such as Busan, Daegu, Incheon, Gwangju, Daejeon, Ulsan, in addition to capital, Seoul, according to the characteristic of province and the convenience of administration. South Korea has a population of 46,858,463 (in 1999). Korean is a peninsular. It is close to the Manchuria of China, and Maritime province of Siberia in the north. And in the East and south, it is close to the Japan located across the East sea and southern sea, and in the west it is close to the China. The western sea is located between Korea and China. 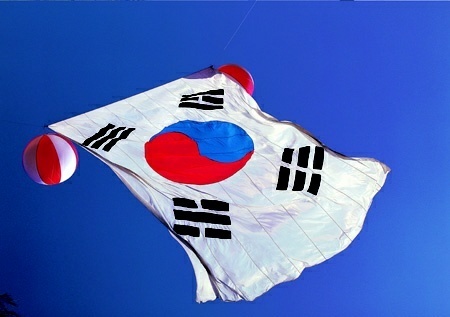 Korean national flag symbolizes peace, integrity, creation, light, eternity. Korean national flower is althea, called in Korean ��Mugungwha��. The althea is propagated across the whole country, in Korea since ancient times. The althea is beautiful and it is in bloom for a long time, so, Korean people have liked the althea for a long time. The althea, Korean national flower symbolizes Korea.